Project funded by World Health Organization (WHO) – Nalamdana had applied for a short term grant and was approved by World Health Organization/South-East Asia Regional Office (WHO/SEARO) to create a gender sensitive programming through participatory, innovative communication at their on going project site – the largest Government Hospital where free ART and TB treatment is given to men, women and children at Tambaram, on the outskirts of Chennai, Tamilnadu. The Are You Well program’s main objective was to: strengthen the women’s component of the program by connecting the TB women’s wards that are were unconnected to the cable radio; create a special gender-curriculum of messaging over the cable radio to specially address the practical and psycho social issues faced by women and include FGDs and support group meetings for women on campus; and continue with direct interpersonal counselling, which will help to empower them and bring women on par with the men receiving these programs. 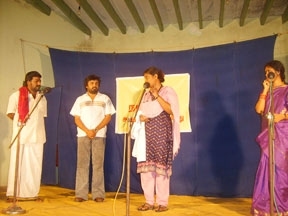 The project was a unique one and helped Nalamdana create special messages and program through role plays, drama’s and daily cable radio to reach newly connected wards where TB and HIV infected women were being treated on campus. This project was funded for a short term of three months (Oct – Dec 2009). 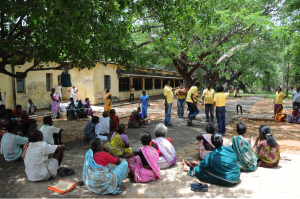 This grant not only helped connect four TB wards, where women patients were interned, but also helped the core team at Nalamdana create special tools based on collected feed back from target women, which was again made possible due to the support group meetings. A counsellor was identified and appointed exclusively to run these support group meetings which happened twice a week. The intention of the support group meetings was to address the specific emotional issues women face and create an inclusive environment to bring them on par with men, so that they may return to their communities with the confidence and knowledge to live life positively. Baseline questionnaire was administered to both TB & ART interned patients and based on the needs assessment from the FGD – a gender specific radio programming (including jingles & radio talk show) was developed and relayed from December, 2009 to all the connected wards. Informant interviews conducted with Doctors, Nurses and Counsellors regarding specific case studies of women patients, helped in the development of an Audio CD containing basic info and songs on adherence for women patients. These specially developed and delivered gender sensitive HIV-TB programs; role plays, drama scripts as well as recorded radio programs will be shared with various stakeholders such Positive Networks and women’s colleges where Nalamdana holds training programs. 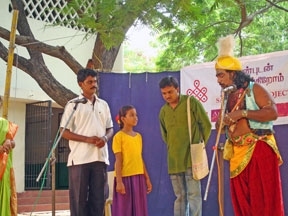 Indeed, all programs and theatre workshops run by Nalamdana will benefit greatly from these newly created and evaluated gender-sensitive scripts. Are You Well programming at the Government Hospital of Thoracic Medicine has been very successful in educating TB and HIV patients about proper care and in creating a nurturing environment conducive to healing. 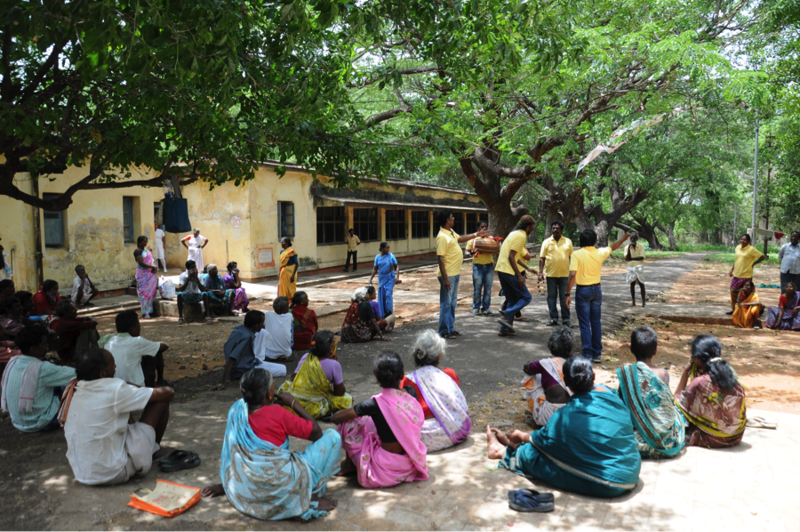 Eliminating gender disparities in health and harnessing the transformative power of art, the Gender sensitive HIV-TB Are You Well program envisions creating a hospital environment that is more than just a treatment center, but transforms into a holistic healing abode.